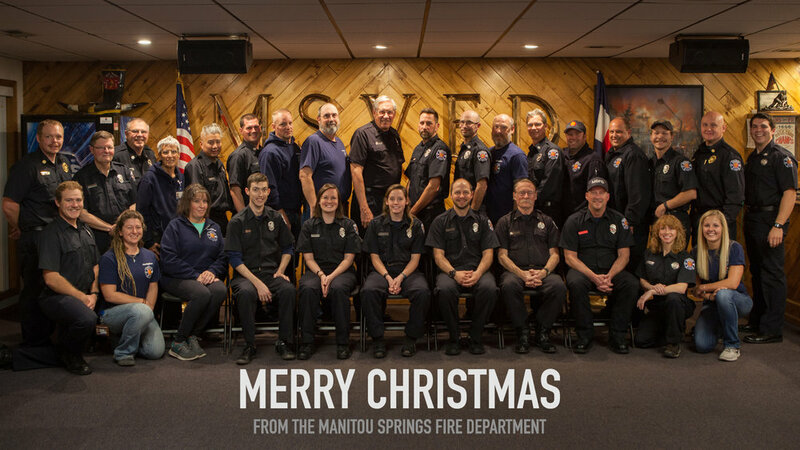 Manitou Springs Fire Department is pleased to release our annual report filled with information and data about the incidents, training, and events of 2018. This data is essential as we evaluate trends and look to prepare for 2019 and beyond, and we hope that it will help to educate our community on the service that MSFD provides. Click the link below to view the report. The Manitou Springs Fire Department needs your help. Last year, the Fire Department placed an initiative for a training facility on the ballot for the 2017 election. This facility proposal was the result of a two and a half year project involving City Council, city department heads, the City Administrator, members of the Fire Department and the Colorado Department of Local Affairs (DOLA). During those two and a half years, numerous council meetings helped to shape the design proposal through open discussion. Unfortunately, the action did not pass and your Manitou Springs Volunteer Fire Department still has a training problem. We need a training facility that provides a suitable environment for training and allows us to continue to give the high level of service our citizens have come to expect. We need a structure that can take years of abuse from fire department training. This structure must be able to have ladders thrown against it hundreds of times a year, have hose drug through it and thousands of gallons of water flowing inside of it. We need space to park fire engines, hook up to fire hydrants. The drill ground must be able to effectively drain water and be in a location that is not disruptive to the neighbors. We have found such a space where previous surveys have been performed, and it includes recent updated plans. These surveys and plans were paid for using city dollars and DOLA funds from our previous effort, as well as much donated time from our architect James W. Nakai & Associates. In our desires to also remain fiscally responsible to the citizens of Manitou Springs, we do not want any of those funds or time to go to waste. We understand that many citizens felt their voices were not heard and wanted greater inclusion in the process. Because of this, we are formally coming to you, our citizens and business owners of Manitou Springs to ask for your input. Our current training situation is dismal. We are unable to meet our firefighters needs and have limited options. One option involves leaving the city to go to a neighboring training facilities. Unfortunately this requires taking apparatus and firefighters out of our city. More importantly, the surrounding facilities are often unavailable. This is important because our firefighters need to consistently train, and in many cases, the same subject of training needs to be offered repeatedly to meet the scheduling needs of our volunteers. At neighboring facilities we find difficulty scheduling the necessary hours for our folks. The Colorado Springs Fire training tower is subject to extensive ongoing training within their own department, and priority for Ft. Carson’s Fire training tower goes to their department first and then to Pikes Peak Community College, making it near impossible to schedule. The more reliable option is to train within our own city. Unfortunately, we currently spend 30 to 45 minutes to find an adequate place to train. Usually this means we end up in a parking lot or behind the fire station. These environments do not provide the challenges that your firefighters would run into if we responded to a fire at your residence or business. A parking lot is just not a good place to practice a coordinated and expeditious fire attack. One of the most straight forward and practiced skills a firefighter performs is rapidly deploying a fire hose from the fire engine to the seat of the fire. Seems pretty simple until you consider that the hose with water weighs approximately 45 pounds per 50 feet and the firefighter is wearing an additional 40 pounds of gear. In real life, the fire ground is not a parking lot. In Manitou Springs especially, it means there may be great distances with vertical challenges. The hose must be deployed to the structure over uneven terrain, up or down stairs or ladders, through doorways or windows that must be held open to prevent pinching the hose or trapping firefighters, travelling around corners and down tight hallways into bedrooms, basements or attic spaces. This is one very simple skill of hundreds that should be practiced over and over with varied obstacles to develop proficiency. We have returned to the planning phase and have several new ideas and options. One, which seems most viable to us is a facility that does not have a burn module, but does meet a large portion of our needs and provides for growth in the future for other needs if required. It builds off the previous surveys and design that was paid for by DOLA and matching funds from the city, and uses the previous location identified at Public Works. The remaining cost is potentially under a million dollars. Would this be a good starting spot? Do you have other ideas? Effective immediately, all Fire Restrictions are hereby terminated for the City of Manitou Springs. This year marked the 67th time that MSVFD has celebrated the work and accomplishments of its membership with an awards banquet. The following awards and achievements were recognized. 1. Open Burning Ban, defined as the prohibited use of any outside fire. This includes all campfires and warming fires, all solid fuel burning fireplaces (e.g. fire pits, fire tables, and chimineas) and cooking appliances (e.g. charcoal BBQ grills, smokers and pellet BBQ grills). This ban excludes Liquid Propane (LP) fueled or gas fueled open flame cooking devices, (e.g. LP BBQ grills or camping stoves) with a 10’ separation from combustible materials, (clearance not applicable to single-family homes). These bans do not apply to compliant fireplaces and wood-burning stoves within private residences. If weather patterns change the local outlook significantly one way or the other, Fire Ban will be adjusted accordingly. We hope that you'll support the upcoming MSMS fundraiser. The event will be Sunday, November 5th, 10 AM - 4 PM at the Manitou Springs High School. For additional details, click the button below.